Throwing an outdoor party or thinking of a picnic? 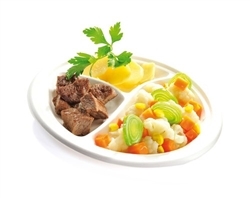 Instead of ordinary paper / plastic or thermoformed starter plates, use the Precise Portion 100% compostable, fully microwavable, 3-Section Nutrition Control Starter Plates. 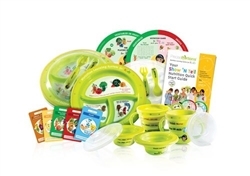 As your guests dig into their food, the ÔEat & LearnÕ System discs that accompany our fully microwavable, 3-Section Portion Control Starter Plates will help keep their minds occupied by explaining the concept and nitty-gritty of portion control. 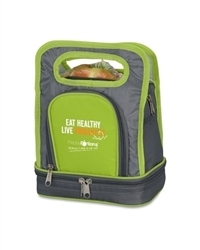 The uninitiated will definitely applaud your commitment to a healthy lifestyle. 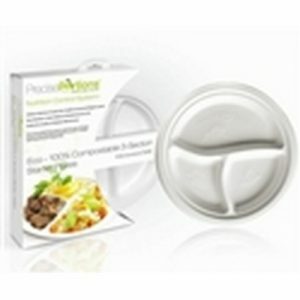 At Precise Portions, we have stretched convenience to the ultimate by making our biodegradable portion control starter plates microwave safe! You can now heat food on the plate itself Ð no separate vessels required. Each box contains 25, 9-inch, fully microwaveable, 100% biodegradable Starter plates. Also included, is a set of ÔEat & LearnÕ System discs that help explain the concept Ð something that will be appreciated by those who are as yet unfamiliar with the concept of portion control. 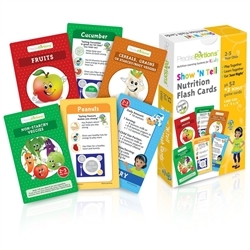 Use the Eat & Learn System discs to select your daily calorie budget, next, select a meal plan that falls within the calorie budget and then create your daily menu Ð absolutely easy.